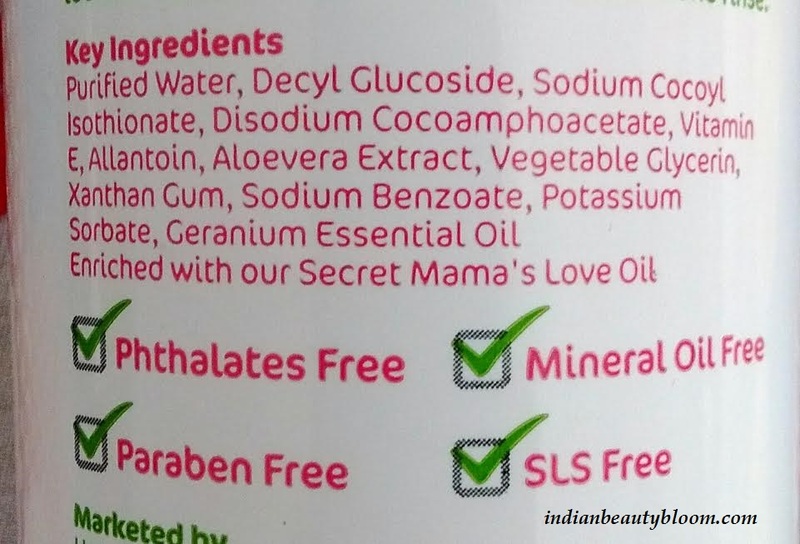 Back with one more product review from brand Mama Earth . 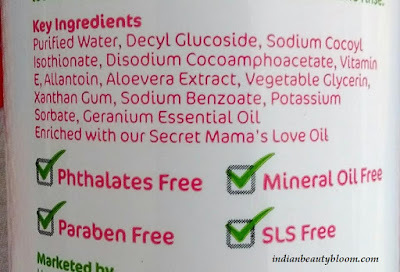 Today I am going to review a new launch from it’s Mama Range , Calming Body Wash for Mama . 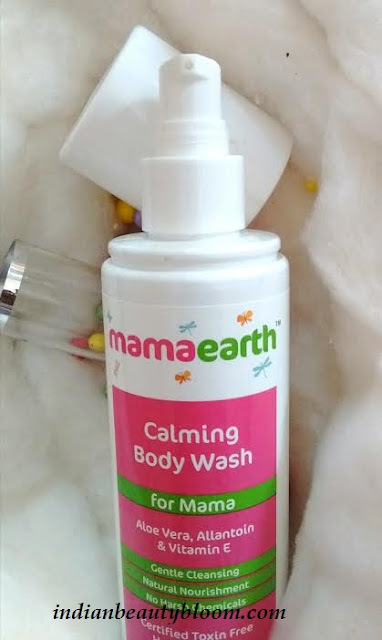 Mama earth has introduced some product in the mama range and this Calming body wash for mama is one of them . This Calming body wash is a gentle cleansing body wash with goodness of Aloe Vera and Vitamin E.
Product Packaging is excellent & Classy . The body wash comes in a good quality plastic bottle with a nozzle at the top from which desired quantity of product can be taken out easily . The body wash is like a colorless gel . Consistency is neither too thick nor runny . 1. Has goodness of Aloe Vera, Allantoin and vitamin E.
2. Free of Paraben , SLS , Pthalates , Mineral Oil . 3. Certified toxin free product . 4. Excellent product packaging . 6. Lathers well and cleanses well . 7. 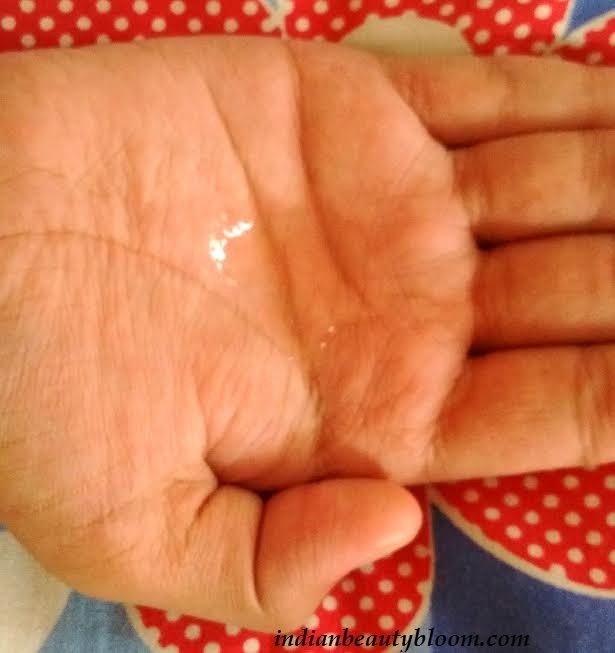 Gentle on skin and is suitable for all skin type . 1.Availability might be an issue as available only on online stores . 2. Price little higher than body wash from other brands . I am using this body wash past two weeks and its a good product . I like it’s fragrance which is mild and good . One feels refreshed after using this body wash . It lathers well and cleanses well , does not makes the skin dry like ordinary soaps . Vitamin E in it keeps the skin moisturized . One can buy this product from online stores like Amazon , Flipkart , Nykaa.